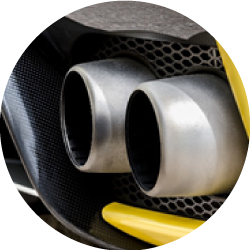 Friction, core and lubrication zones of a motor cylinder were studied in order to investigate opportunities for improving fuel efficiency and thus reduce harmful emissions. MountainsMap® software was used to provide advanced analysis of the volume of the zones studied. 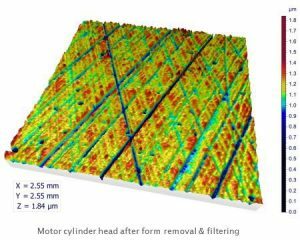 The motor cylinder head was displayed in 3D after form removal and filtering were applied. This enabled visualization of friction, core and lubrication zones. 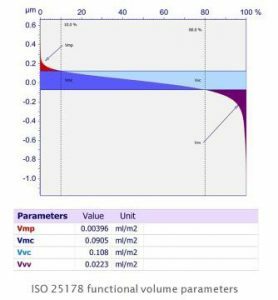 ISO 25178 functional volume parameters(Vmp, Vmc, Vvc, Vvv) were calculated (in ml/m2 or µm3/mm2).